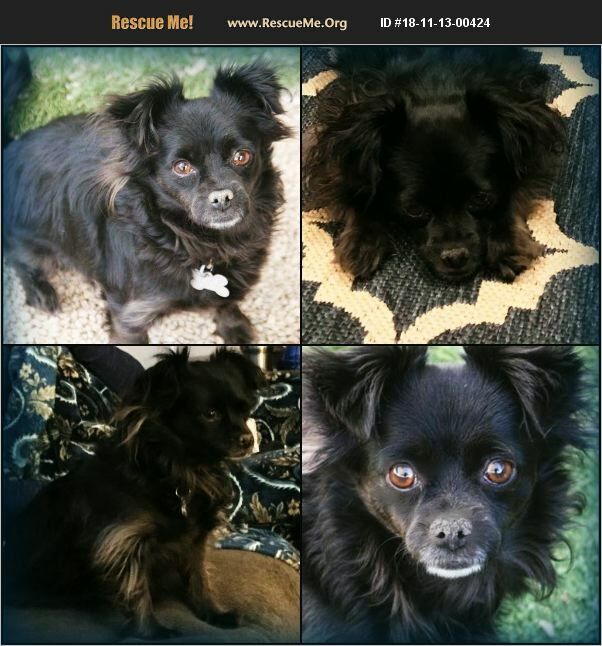 Everly is a 6-year-old Long Hair Chihuahua mix. She is a sassy little diva that wants love on her own terms. She is very independent but she doesn't take long to let even strangers pet her. Everly gets along well with other dogs, good with cats, but a home with no children is suggested. She's even lived with a pot-bellied pig and an iguana. She enjoys sitting beside you on the couch and prefers a warm bed in her kennel to sleep. She will do best in a quieter home and once she does warm up to her home and person, she is sweet and can be playful and will stay right by your side. She is a dog that wishes she could talk as she will always have something to say, does not like to go on walks and is potty trained. She was saved from the County shelter so we aren't sure why she is so distrusting. She is spayed, up to date on vaccines, chipped, vet checked, licensed, comes with 30 days of free pet insurance, and comes with a free vet visit. Her adoption fee is $220. To meet her contact Caryn (602)-373-0115.